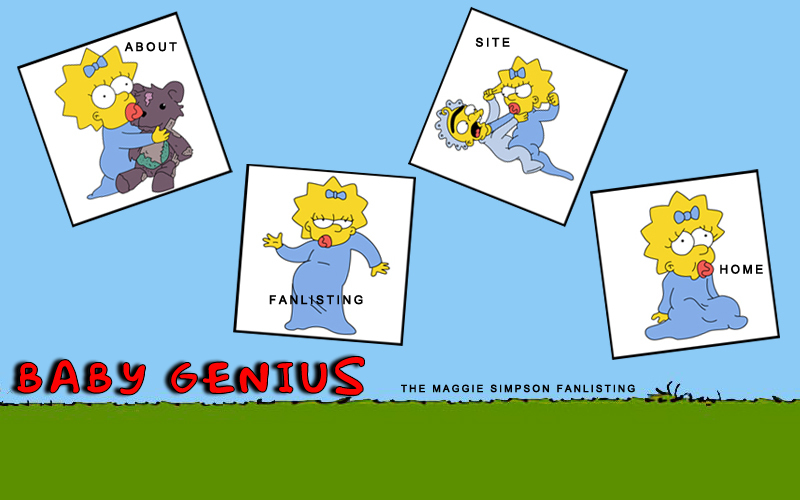 to Baby Genius, the only TFL listed fanlisting for the adorable character Maggie Simpson from the TV Series The Simpsons. Maggie, short for Margaret, is the youngest member of the Simpson family. She spends most of her time sucking on her red pacifier and watching television. If you're a fan of Maggie head over to the fanlistings section of the site and add your name to the members list! This fanlisting is run by Raina and is part of Eternity of Misery. This site is not official and has no affiliation with Matt Groening, James L. Brooks, Sam Simon, FBC or The Simpsons. No infringement intended. The Maggie Simpson fanlisting was opened October 26, 2011 and is powered by Enthusiast. It is listed under the Animation category at TFL.org. This website is CSS Validated and XHTML 1.0 Transitional.